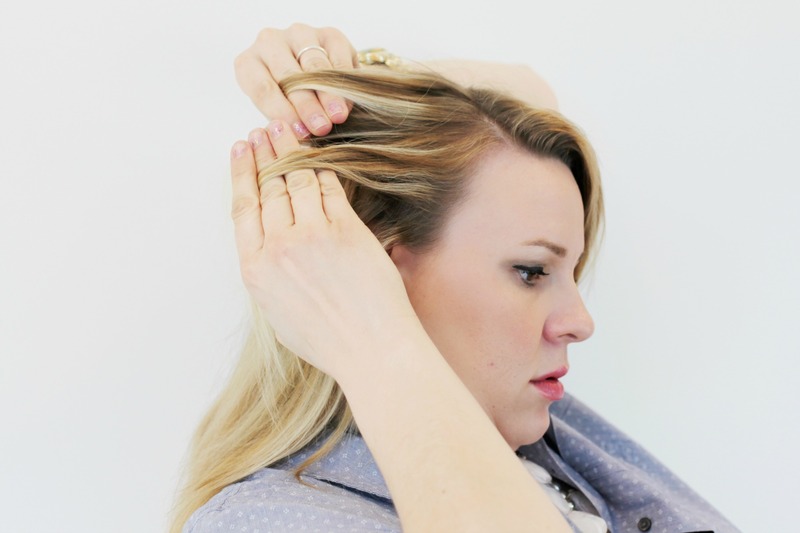 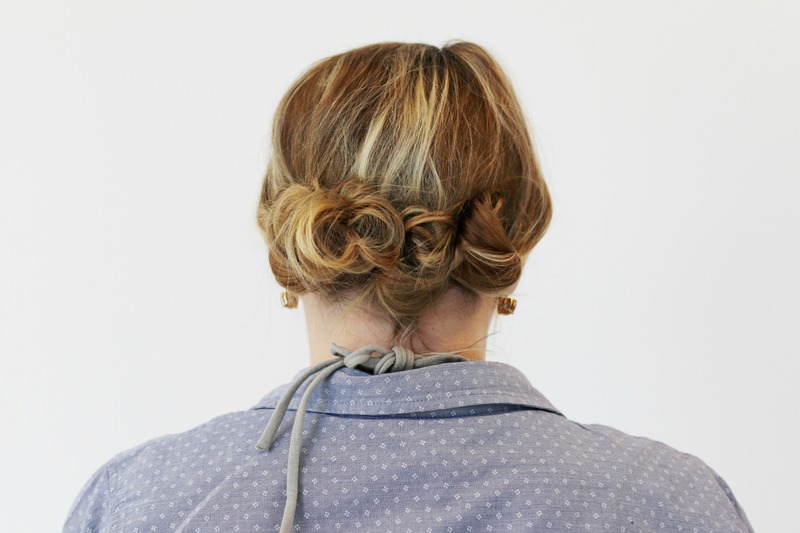 Learn how to do this gorgeous side twist in nine easy steps. 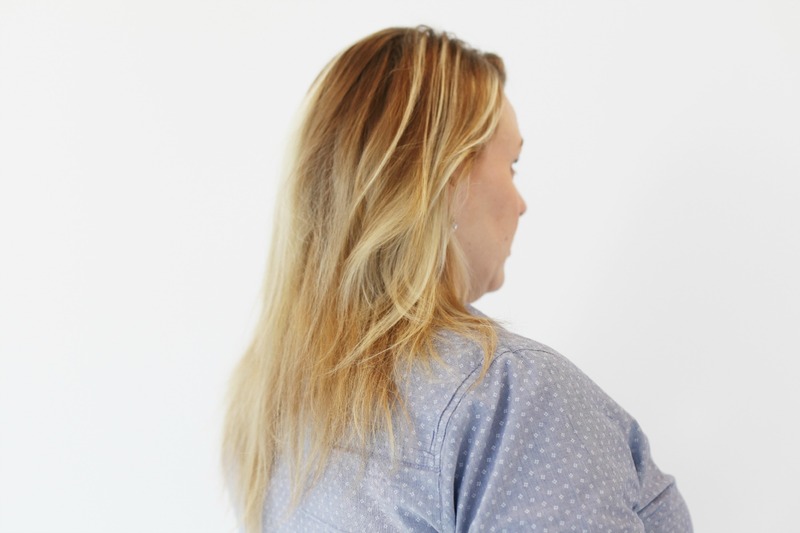 This post was brought to you by Quaker® Real Medleys®. 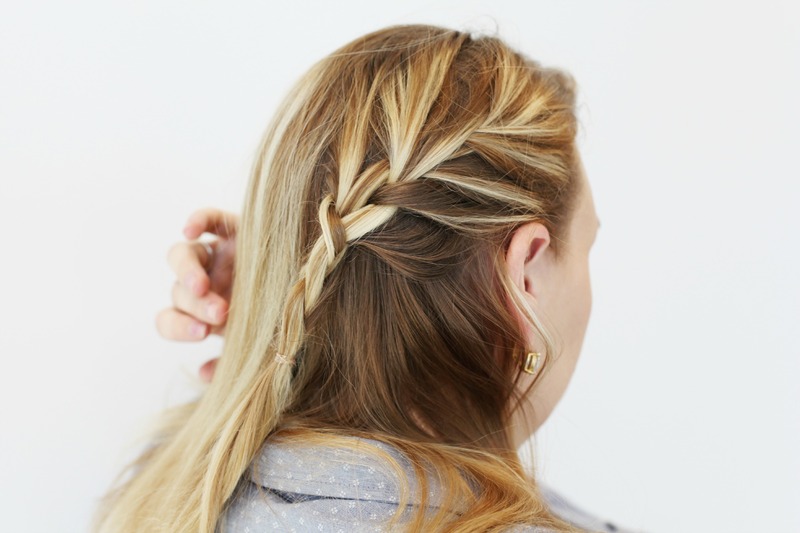 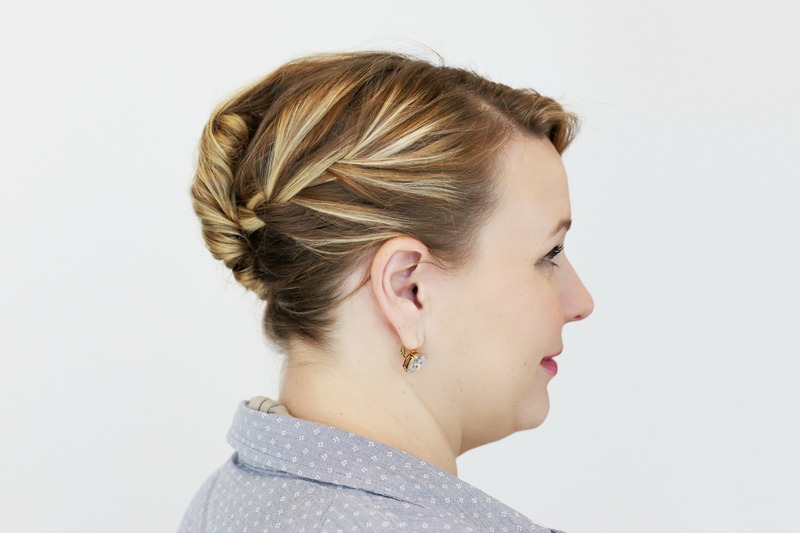 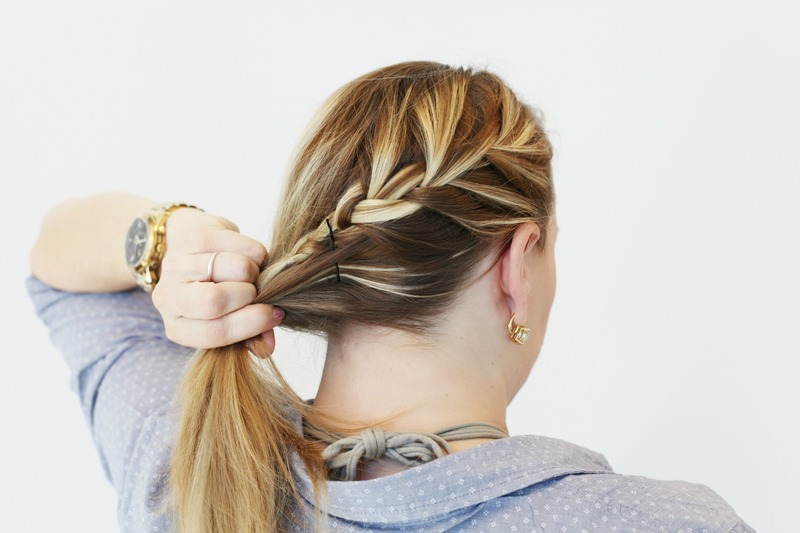 French braid the less-full side of your part. 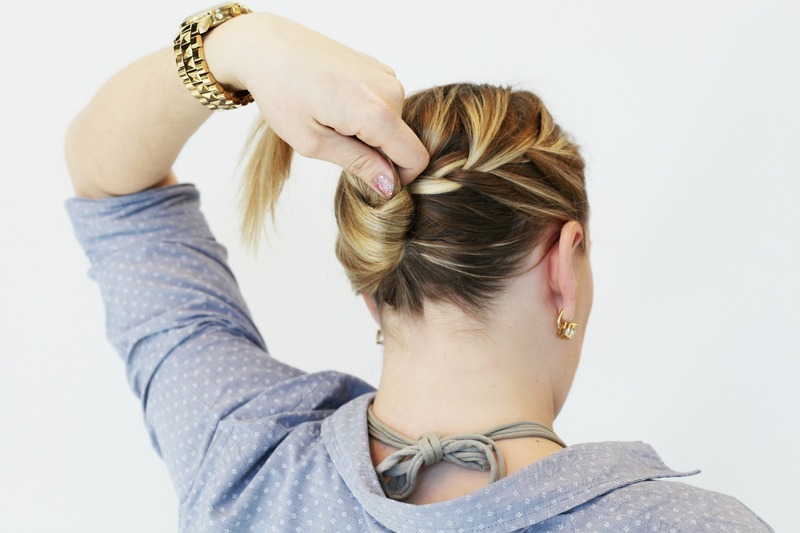 Pull hair to one side and bobby pin to hold. 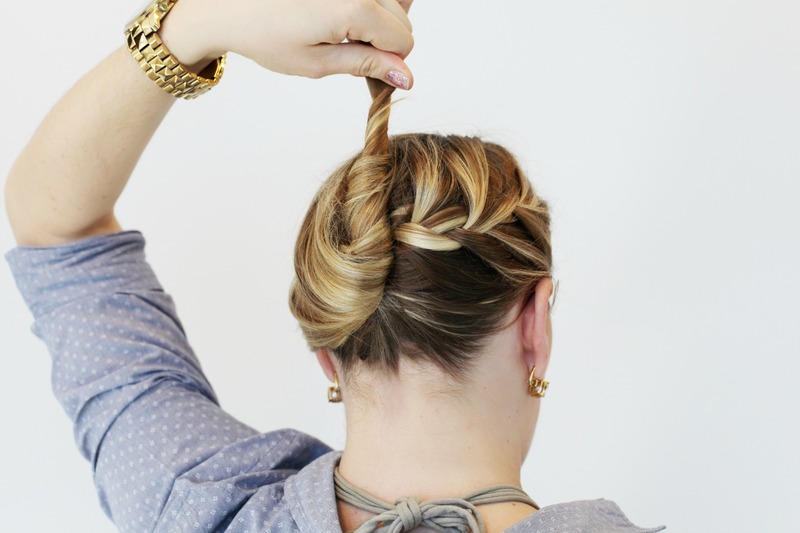 Twist to the end of hair. 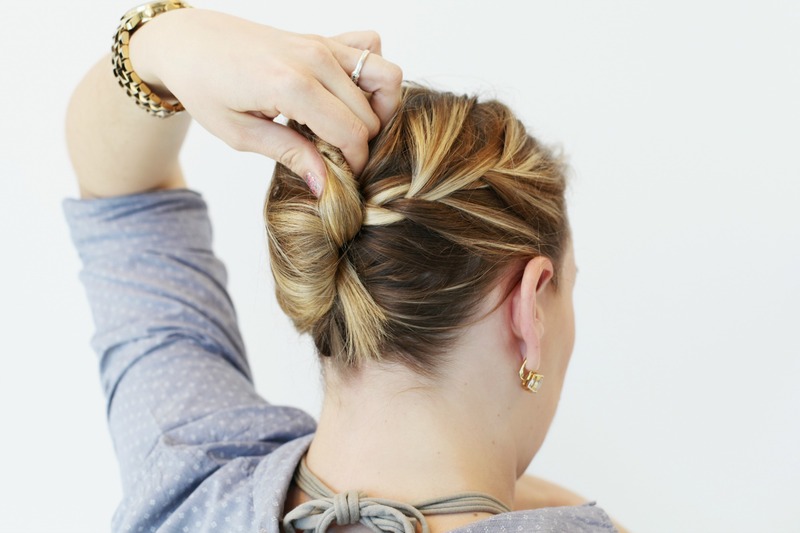 Bobby pin the twist into place, starting at the top. 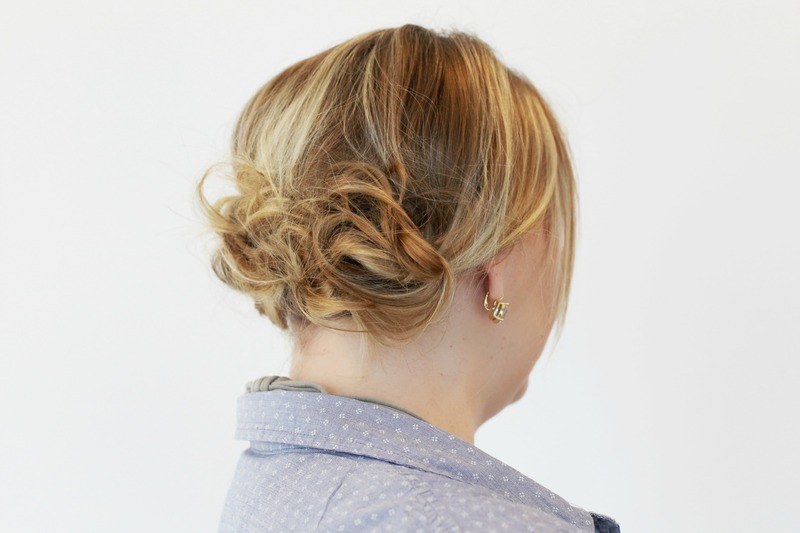 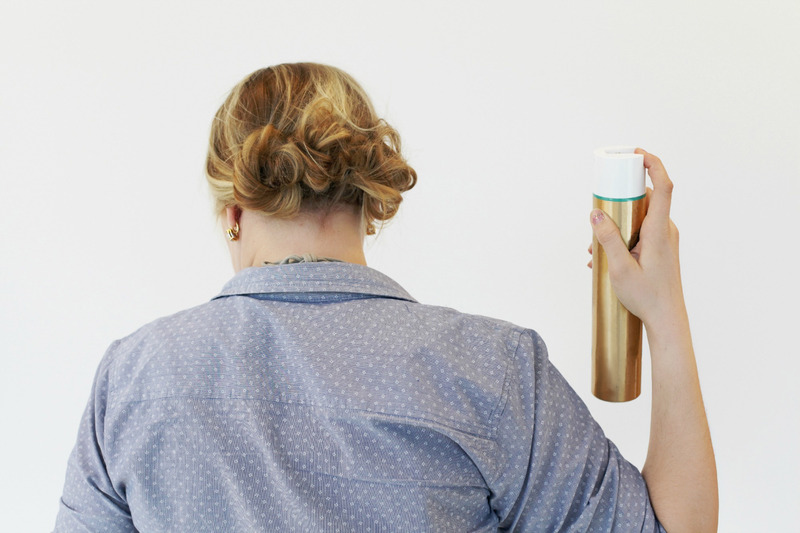 Learn how to do this quick up-do with pinned buns in seven easy steps. 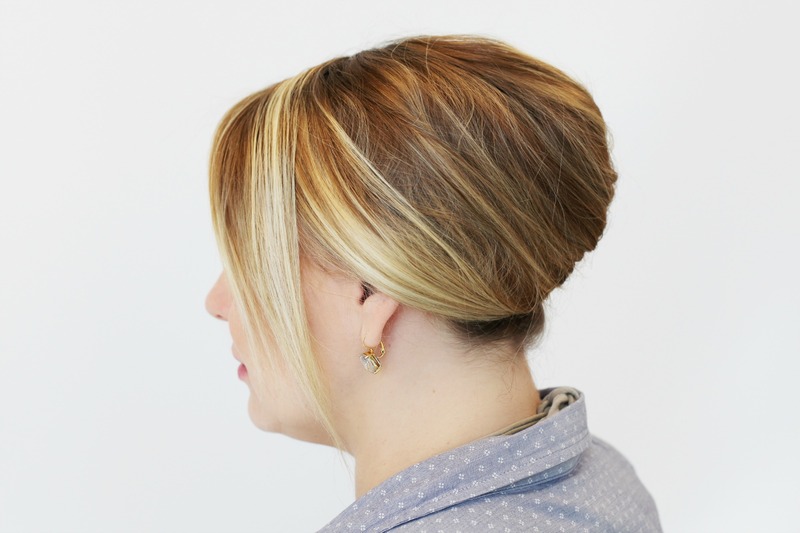 Separate top half of hair and tease. 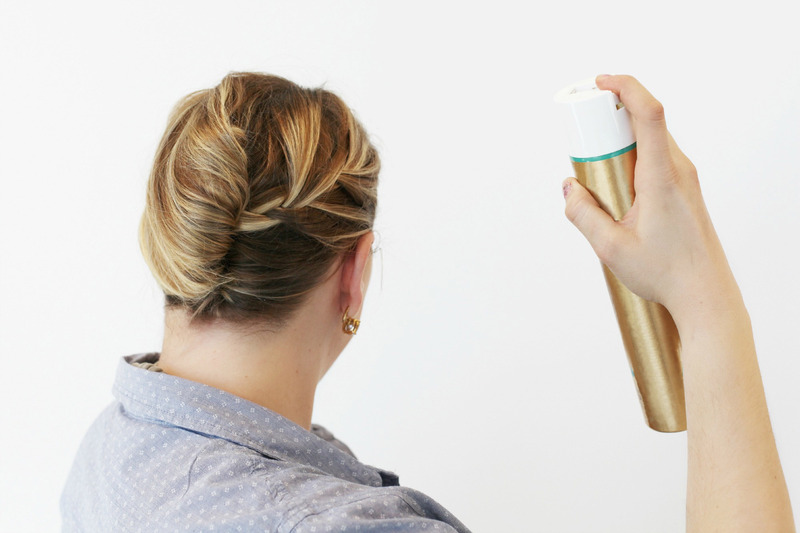 Hairspray teased hair. 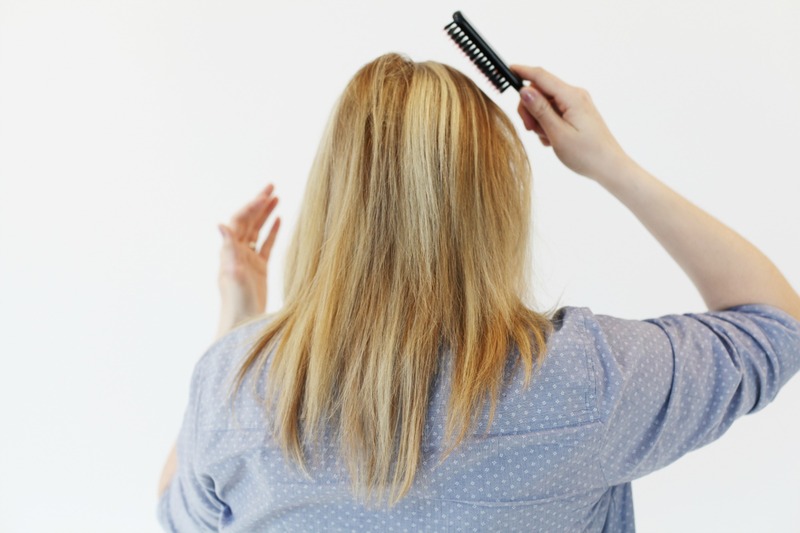 Calm teased hair by brushing. 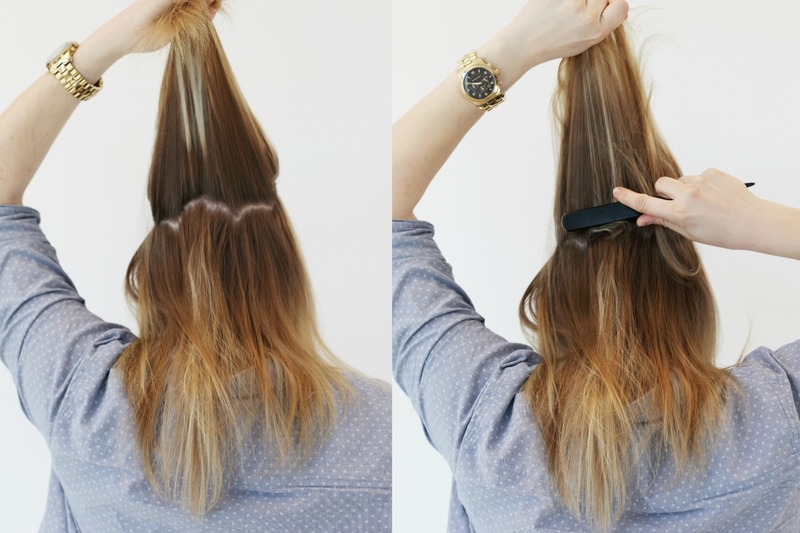 Separate hair into four sections and secure with clear elastic. 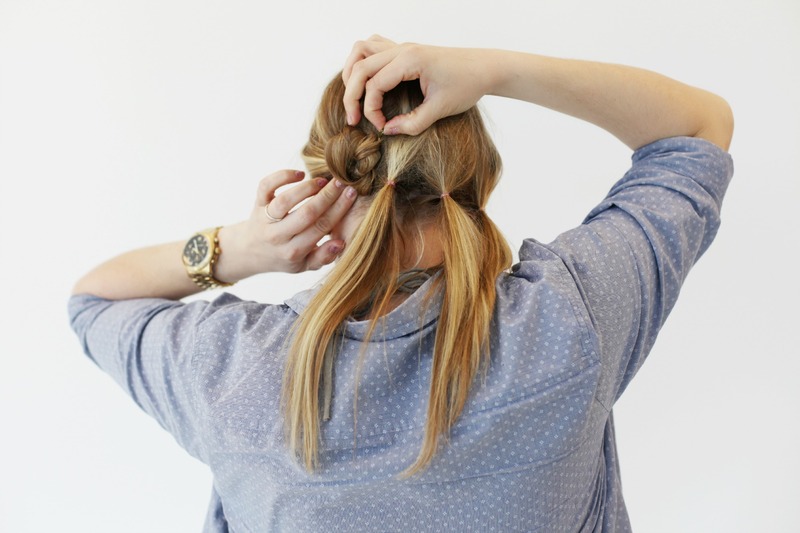 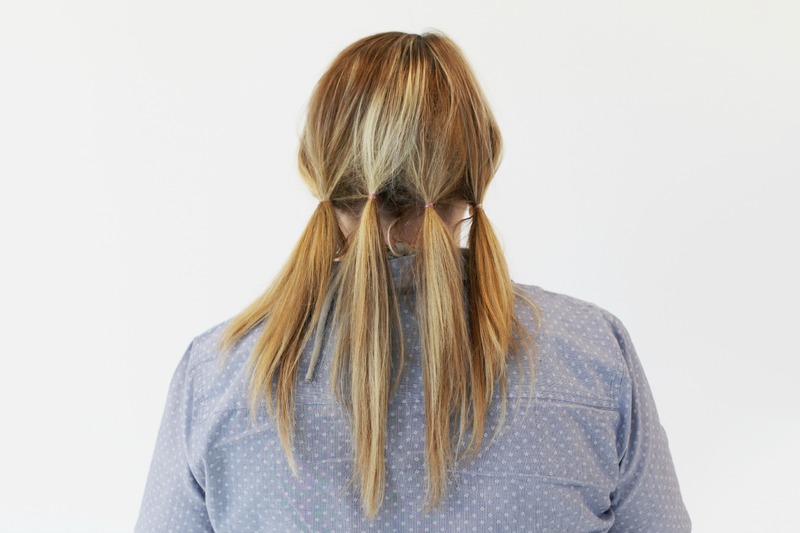 Make a loop with hair and pull into a knot; secure with bobby pin. 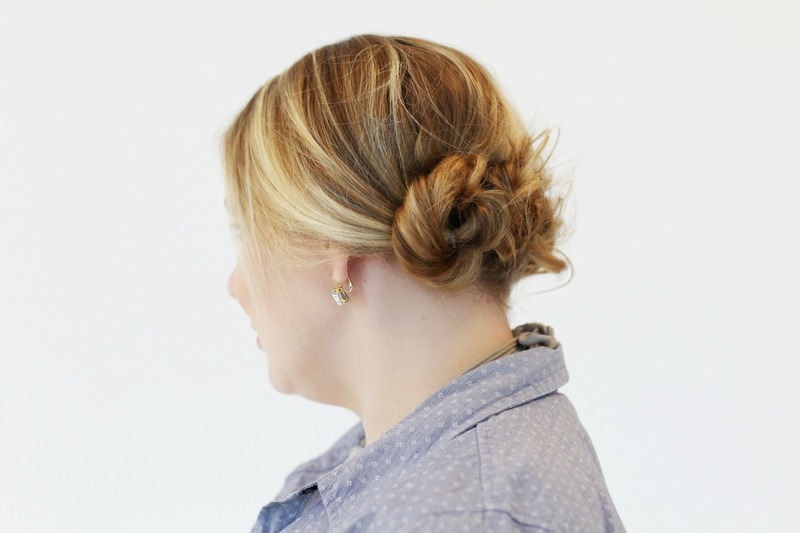 Pull each pinned bun loose a little to fluff and make fuller.